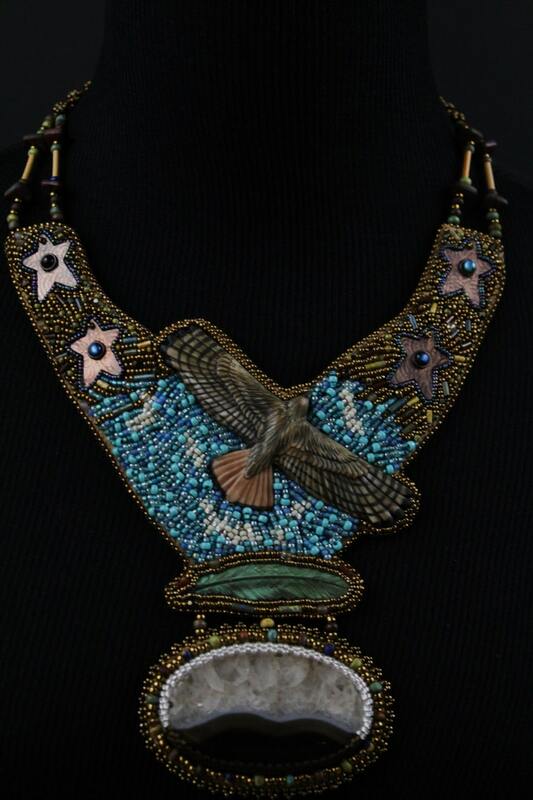 This beautiful neck piece features a porcelain red tail hawk created by the very talented Laura Mears. This red tail hawk is telling us all that we can soar to the stars if we just let ourselves. Below the hawk hangs a beautiful gemstone embellished with Picasso finished beads. The necklace is a total of 19" around the neck and backed with Camel Ultra Suede for comfort. Closure is a hand forged brass toggle.